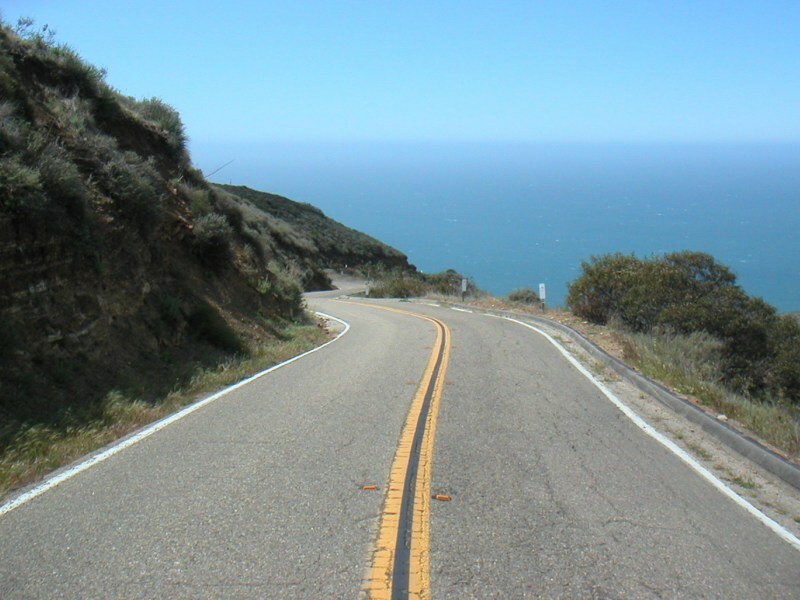 The Mulholland Challenge is a difficult century in the Santa Monica Mountains with stunning views. 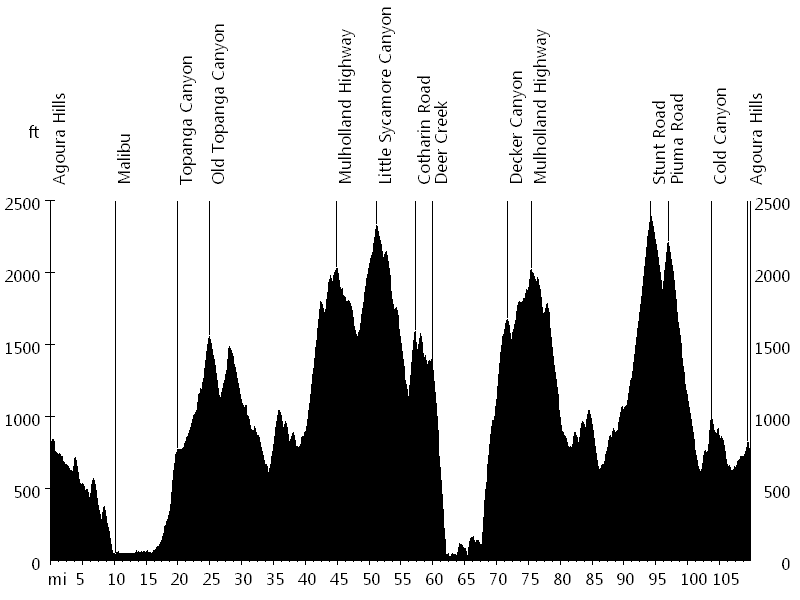 Most of the course overlaps with the Mulholland Double Century, which is held on the same day. 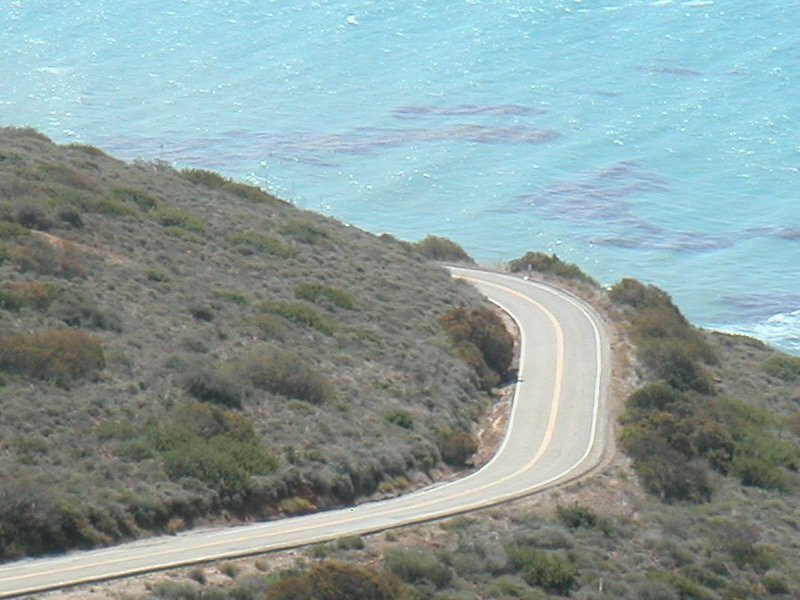 The descent on Deer Creek Road offers an amazing view of the Pacific Ocean. 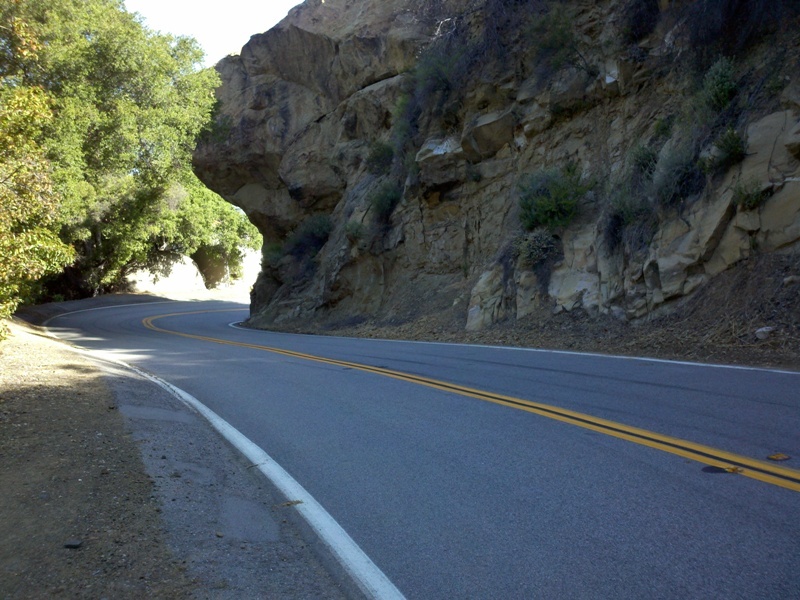 After a few miles south on Pacific Coast Highway, the most difficult climb of the day leads up Decker Canyon, which eventually turns into Mulholland Highway. The last big climb winds up Stunt Road, followed by a descent down Piuma Road. 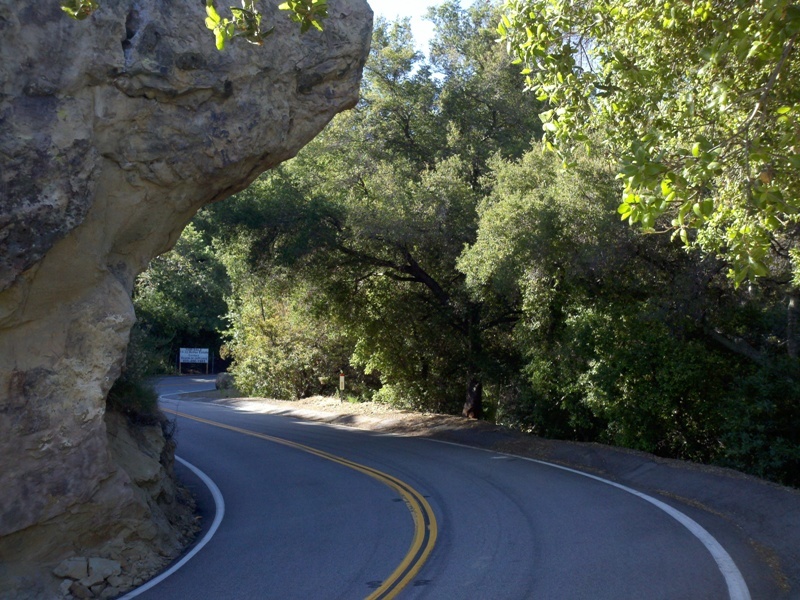 The course then climbs Cold Canyon and leads back to Agoura Hills. I rode this ride solo. I rode with Bob N., John U., and Susen S. from the Renegades, as well as with Joel G. from Calabasas. John, Susen, and I finished the ride together. We had a total of three flat tires, which prevented Susen from winning her age group.